One of the strongest stalks that I have found over all these years of searching the AZ mountains. When you hold this didge you can just feel the power that is possesses. 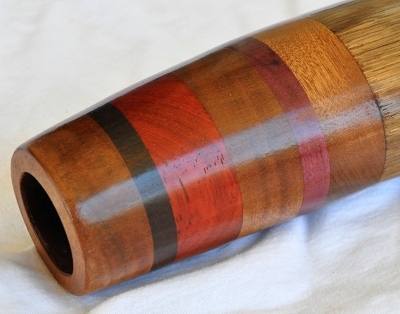 The way this one plays will inspire the most seasoned didgeridoo player and would also be incredible for someone just starting to play. Feels like there are endless rhythms inside this piece that are waiting to explode out that nice bell. When I played this one for the first time it was one of those moments when you create an instrument and are so excited to have built it and find rhythms that you have never thought of. 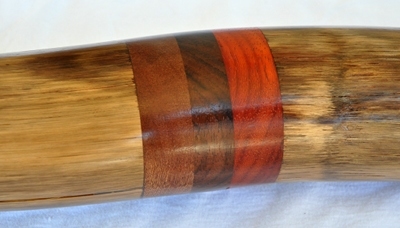 Beautiful woods in the mouthpiece and joint with great curves and sits perfectly as you play. 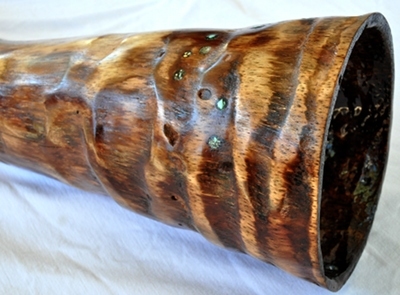 All natural finish that pops the wood and will just get better over time with age. Loving the French Polish technique!